I love this house ….is so simple, fresh and warm! 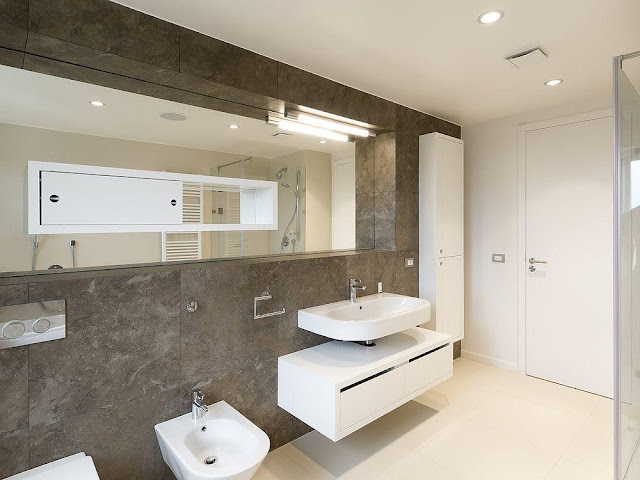 The private spaces such as bedrooms are ofcourse separated, but the rest of common activities rooms are connected within one fluent space. 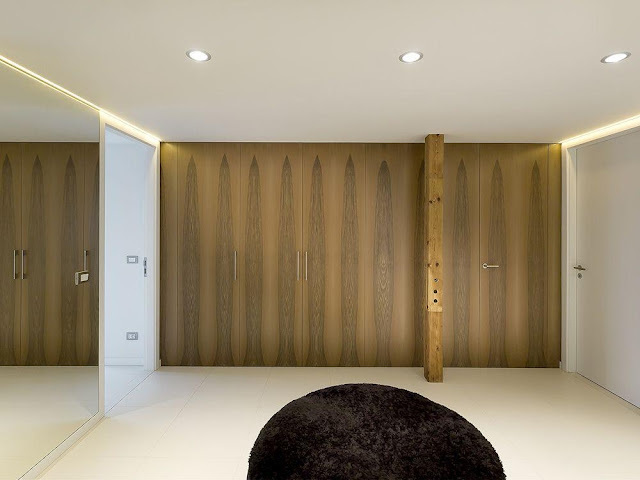 It starts at the entrance hall with dressing wardrobes and slightly continues towards living space and kitchen with large dining table, the space is also opened to upper gallery which is meant for guests. To reach specific fluency of space decided to round off some of the interior corners, which finally give the space its unique smooth character. 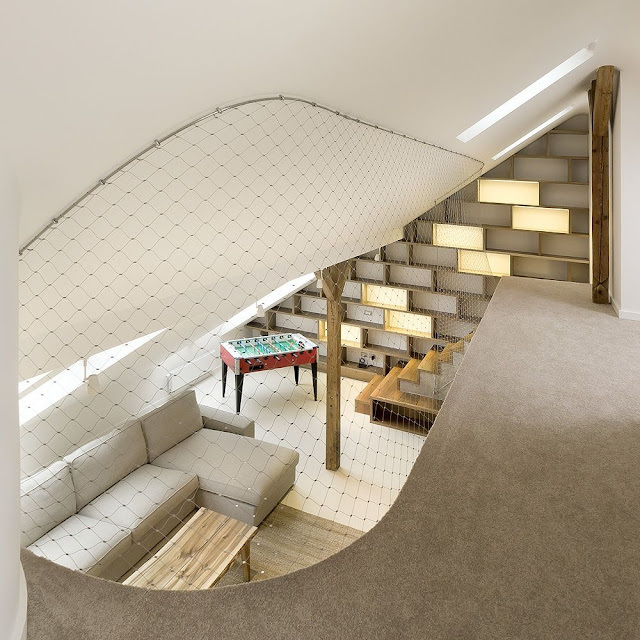 Due to these softened corners one moves and feel simply free and the bounderies of walls somehow disappears. 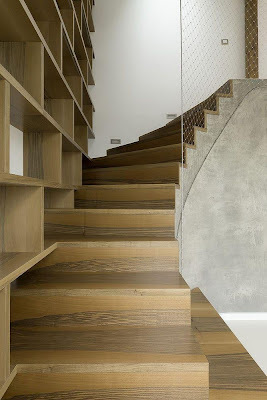 Even the staircase with integrated fireplace and library climbs up in rounded corner. 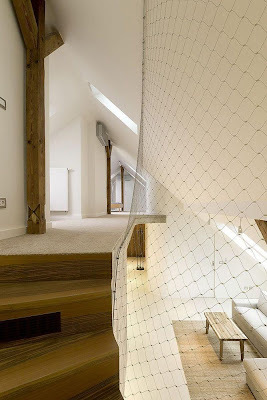 The railing is made out of thin stainless steel net, so it is safe but even smooth and transparent. 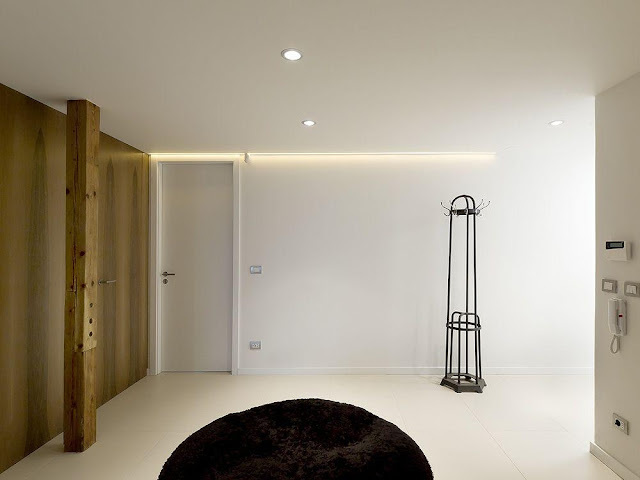 Next to the main continuos living space there are three bedrooms and one study room, and some storage spaces integrated mostly as built in furniture. The issue of materials was another important part of the project. Their main atributes are touchableness and pure naturalness. 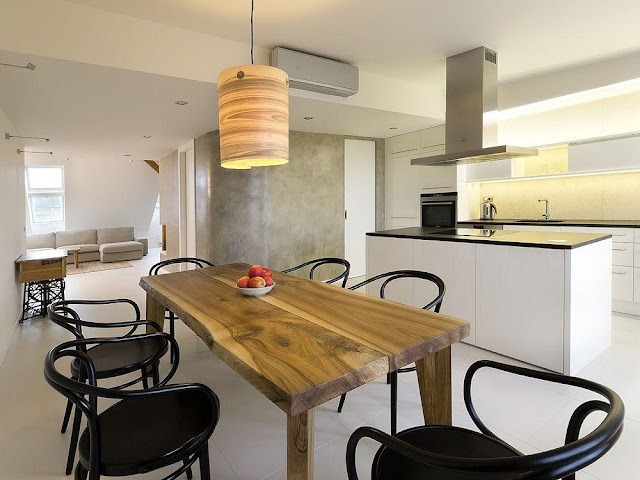 There is used walnut wood for the dining table and ash veneer for the light above. 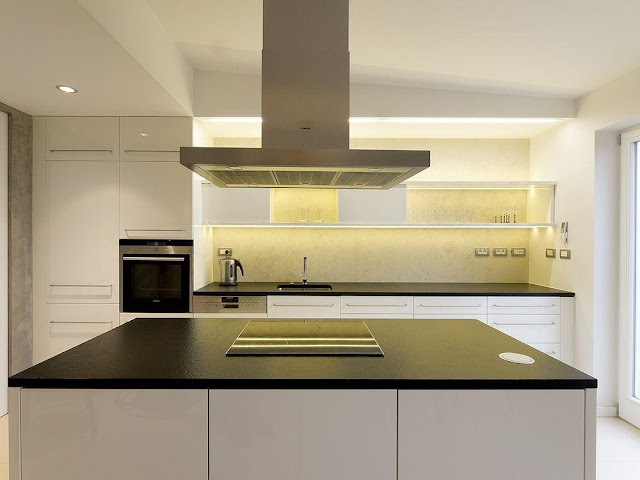 The kitchen counter is made out of black granite stone which is next to bright marble on the wall behind. 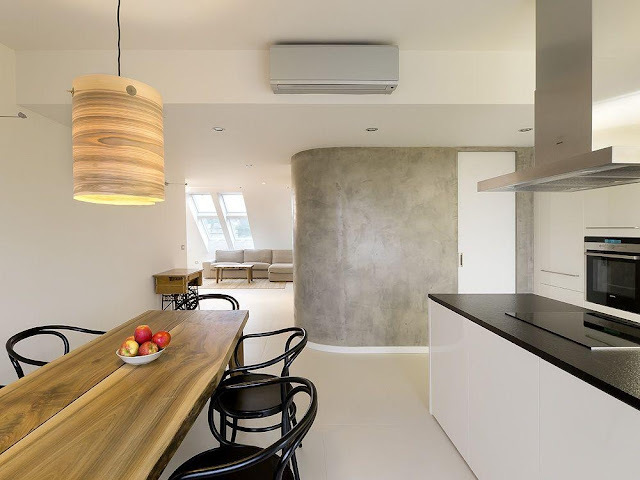 The living space is connected with the kitchen by raw grey plaster. 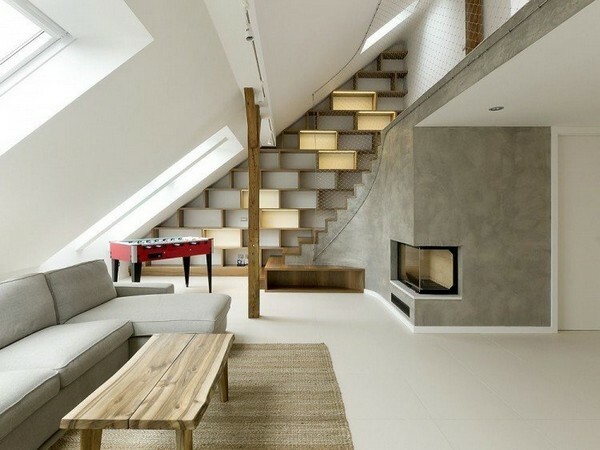 Beige large format tiles are used on all attic floors to support the feeling of continuity.